President Bill Clinton: Short biography of President Bill Clinton and the key events during his presidency. Bill Clinton, nicknamed the "Big Dog", was the 42nd American President and served in office from 1993-2001. The Presidency of Bill Clinton spanned the period in United States history that encompasses the events of the Modern Era and the rise of terrorism. President Bill Clinton represented the Democratic political party which influenced the domestic and foreign policies of his presidency. The major accomplishments and the famous, main events that occurred during the time that Bill Clinton was president included acts of terrorism at home with the 1993 World Trade Center Bombing, the 1995 Oklahoma City Bombing and the arrest of the Unabomber, American anarchist Ted Kaczynsk. The 1993 Battle of Mogadishu (Black Hawk Down) occurred in Somalia and the events of the Waco Siege shocked America. The Family Medical Leave Act (FMLA) was passed and NAFTA was signed. His presidency was marred by the Monica Lewinsky scandal, the subsequent Impeachment of Bill Clinton and the Senate trial that led to his acquittal. The next president was George W Bush. Vice President: Al Gore, Jr. The nickname of President Bill Clinton provides an insight into how the man was viewed by the American public during his presidency. The meaning of the nickname "Big Dog" refers to his commanding stature and the power, authority and influence he welded in his role of President of the United Stes of America. The character traits of President Bill Clinton can be described as Outgoing, Charming, Ambitious, Friendly, Fun, Witty, Charismatic, Easily bored, Spontaneous and Passionate. It has been speculated that the Myers-Briggs personality type for Bill Clinton is an ESFP (Extraversion, Sensing, Thinking, Judgment) with the temperament of an idealist. An outgoing, fun, unconventional and attentive character who excels in interpersonal interactions. 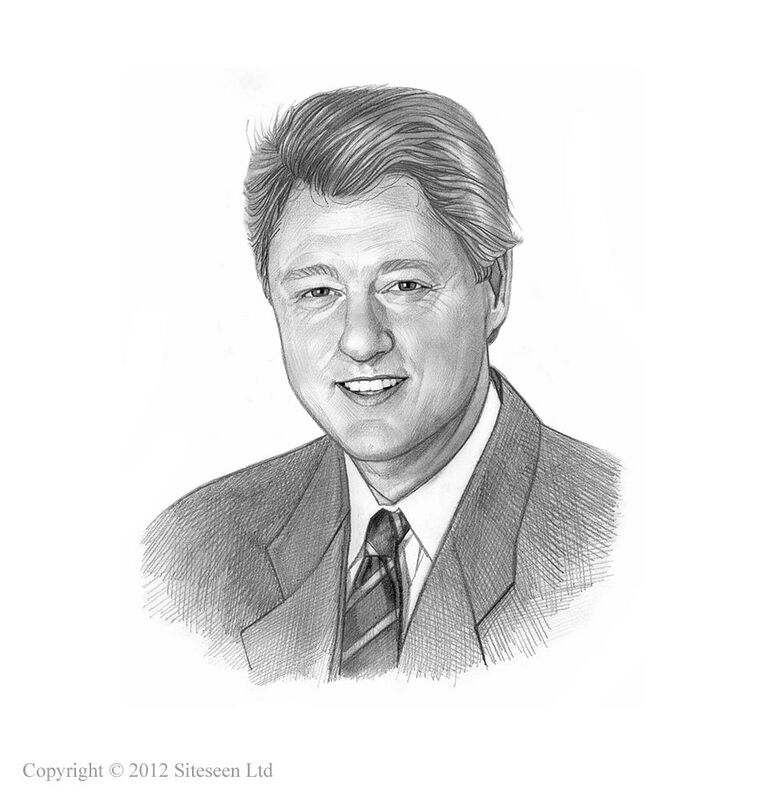 Bill Clinton Personality type: Resourceful, enthusiastic, optimistic, gregarious and persuasive. The accomplishments of Bill Clinton and the most famous events during his presidency are provided in an interesting, short summary format detailed below. Summary of the 1993 World Trade Center Bombing: The 1993 World Trade Center Bombing happened on February 26, 1993 when people were killed and more than 1000 were injured after a bomb, planted under the 2 World Trade Center in New York City, exploded Ramzi Yousef led the bombers and organized the 1993 World Trade Center Bombing and had links to the terrorist organization Al-Qaeda. The Twin Towers survived the 1993 bombing but they were destroyed eight years later in the infamous 9/11 terrorist attacks. Summary of the Waco Siege: The Waco Siege (February 28, 1993 to April 19,1993) involved a Texas religious cult of Branch Davidians led by David Koresh. The FBI launched an assault on the Mount Carmel Center ranch on April 19, 1993 and 76 men, women and children inside the compound, including David Koresh, were killed when the compound became engulfed in fire. Summary of the Battle of Mogadishu (Black Hawk Down): The Battle of Mogadishu was fought on 3 - 4 October, 1993 between forces of Somali warlord Mohamed Farrah Aidid and US troops in Mogadishu, the capital city of Somalia. The Battle of Mogadishu resulted in two Black Hawk helicopters being taken down and the deaths of 18 US soldiers. Summary of the FMLA: The Family Medical Leave Act (FMLA) was passed on February 05, 1993 requiring companies to provide employees with up to 12 weeks per year of unpaid leave for family and medical emergencies. Summary of NAFTA: North American Free Trade Agreement (NAFTA) was signed on December 8, 1993 eliminating nearly every barrier to trade and investment on products and services passing between the United States, Canada, and Mexico. Summary of the Oklahoma City Bombing: The Oklahoma City Bombing was perpetrated on April 19, 1995 at the Alfred P. Murrah Federal Building in Oklahoma City. Two Americans, Timothy McVeigh and his co-conspirator Terry Nichols were responsible for the bombing which resulted in the deaths of 168 innocent people and injuries to nearly 700 together with widespread destruction in Oklahoma City. Summary of the Unabomber: The American Unabomber, Ted Kaczynsk was identified as the perpetrator of a reign of terror involving lethal mail bombs on universities and airlines, that lasted for nearly 18 years, between 1978 to 1995. Summary of the Taliban: In September 1996 a radical fundamentalist movement in Afghanistan called the Taliban took control large parts of Afghanistan with Kandahar as the capital. In 1996 the Taliban became closely allied to another terrorist group called Al Qaeda who they established training camps in Afghanistan in preparation for future bombing campaigns against the United States and the west. Summary of the Bill Clinton Impeachment: The Bill Clinton Impeachment followed the events surrounding the Monica Lewinsky scandal, commenced on December 19, 1998. Bill Clinton was impeached on two charges: perjury and obstruction of justice. The Senate trial resulted in the acquitted of President Bill Clinton who, despite the scandal, retained his popularity as he completed the remainder of his term in office.